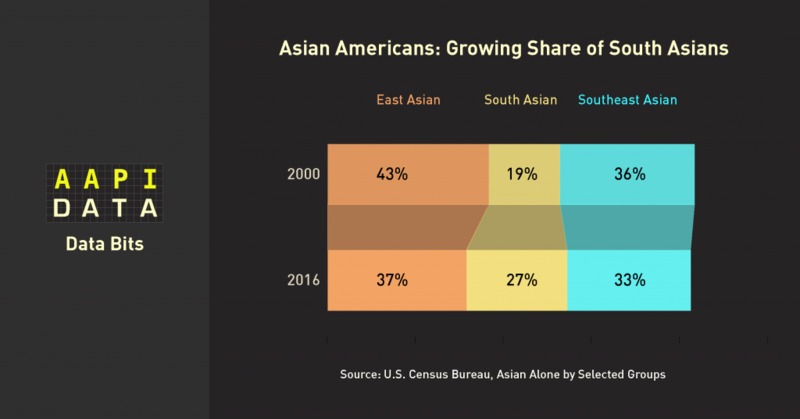 As the South Asian population in the United States continues to grow, the share of South Asians within the Asian American population has increased, while the share of East Asians within the Asian American community has declined. South Asians are one of the fastest-growing segments of the Asian American population. But who is considered Asian? While answers and opinions abound, Professors Jennifer Lee and Karthick Ramakrishnan have provided systematic answers to the question, thanks to data from the 2016 National Asian American Survey. 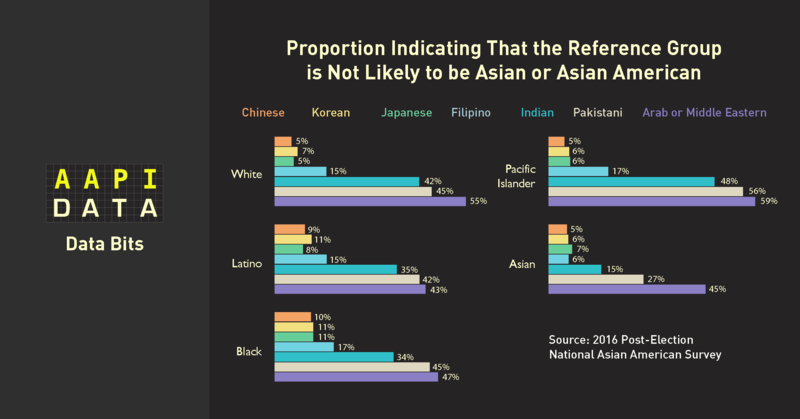 Among Asian Americans as a whole, 15% indicate that Indians are not likely to be Asian American, while only 6% hold the same view for Koreans and Filipinos. That number increases, however, when Asian Americans are asked about Pakistanis—27% of Asian Americans believe Pakistanis are not likely to be Asian American. For non-Asians, an even greater share of individuals don’t view South Asians as Asian American. 42% of whites, 35% of Latinos, and 34% of blacks do not identify Indians as Asian, and those numbers are even greater for Pakistanis. Yet South Asians do consider themselves to be Asian American as much as other Asian American communities do. This continued perception of South Asians as “not Asian” has its root in the default narrative of “Asian American.” Both the history of Asian America and popular culture today paints the “Asian American story” as one centered around East Asians, despite the burgeoning South Asian population. As South Asians continue to face increasing discrimination—including hate crimes and murders, such as the murder of Srinivas Kuchibhotla and shootings of other South Asians this year—it is critical that we take steps to ensure that we do not erase South Asians from the broader Asian American narrative. We need to expand the understanding of who is “Asian,” both within the Asian American community and more broadly in the public. The stories we tell have consequences of who we uplift, as well as in policy and resource decisions. Who we count as Asian American must be more inclusive.